Our Pin it! Preschool Scavenger Hunt on Pinterest has ideas for crafts and activities to plan your 2017 February classroom or homeschool monthly curriculum calendar. Check out the special dates here and then hop over for fun ideas. Click here for January Holidays? 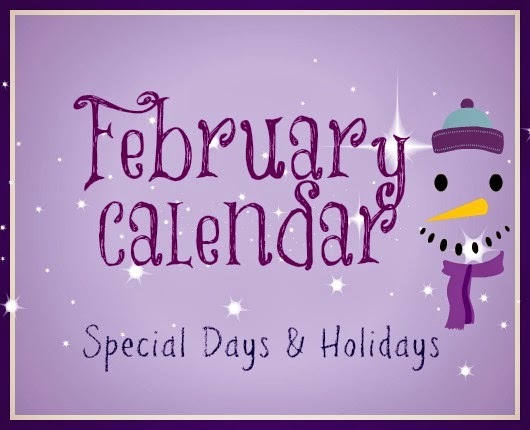 Scroll down for free printable February calendar. Enjoy! February 7 is Bubble Gum Day. Chew some gum for a charity. February 12 is Charles Darwin's and Honest Abe's Birthday. February 14 is of course, Valentine's Day! You should have a great time with your Classroom Valentine's Parties, but don't confuse the good time you have and call it ValentiMe's Day. February 15 is Gumdrop Day. Goody Goody! February 17 Washington's Birthday. Abraham Lincoln's birthday is February 12. February 20 is President's Day and Toothfairy Day.